Business-to-business (or B2B) marketing is set apart from business-to-consumer (B2C) commerce by its own best practices. B2B marketing refers to the practice of businesses marketing their products or services directly to other businesses, rather than to consumers. Much of B2B marketing involves the same principles of traditional marketing. But there are also many special considerations. General consumers often make purchases based on emotional components like status. Companies, on the other hand, are looking purely for the potential to increase their own customer base and revenue. This is what B2B salesmen have to consider when pitching their products or services to prospective clients — that is, other companies. B2B is one of the fastest-growing markets around. Millions of dollars are spent every day on B2B business deals. With this in mind, you may be surprised that this growing market has not exactly been on your radar. There is a simple reason for this: if you are not part of purchasing decisions for a company, you are not the target audience for B2B marketing. B2B marketing is mostly for products that the wider world of consumers does not have any use for. These include everything a company needs to operate on a day-to-day basis, such as industrial equipment, specialized industry ware, and the like. For example, phone companies may do business with telemarketing companies. Another example is advertising. If, for instance, a magazine runs off ad revenue, it may market to businesses that share its target audience. The businesses want their demographics to see their ads, so they place ads in the magazine and collect the revenue from increased advertising campaigns. There are numerous industries that use B2B marketing, which means this practice offers infinite potential. This is reflected in the speed at which the market is growing. So, what are some of the best practices — and the most common mistakes — of B2B marketing? Marketing automation refers to using technology (often social media platforms) to track potentially interested audience demographics for your product or service. There are many ways to do this and you can decide what form of this is right for your business. The root of marketing automation is about making marketing campaigns more relevant and efficient with less wasted time and effort. The platforms you use do much of your advertising work for you and deliver it directly to the people who are most likely to be interested in your products or services. Examples of marketing automation include targeted email campaigns, blogs, and more. Content marketing refers to a very specific type of marketing that can take place on various platforms. In fact, a vital part of content marketing is having information on many platforms and in different media. This might include social media pages, blogs, webinars, YouTube channels, emails, and more. The most vital part of content marketing is what makes it different from traditional marketing. Traditional marketing is about selling a product directly. Content marketing, on the other hand, is about providing relevant and informative content to your potential clients. Your goal should be to facilitate a conversation about your industry and provide them with interesting content they cannot find anywhere else. Building relationships with leads go hand in hand with content marketing. This is about establishing yourself as an authority in your industry. What is the best way to do this? By providing expert, relevant content about topics that are important to your current and potential clients. Whether this is about challenges in the publishing industry or the best ways to preserve garden plants over the winter months, your text, video, and audio content should be about establishing your business as an authority. As a result, customers will come to see you as trustworthy, which gives you an edge over your competitors. Building a strong email campaign strategy might seem outdated, but most B2B marketing experts say they still count email as an essential tool. When it comes to B2B marketing, email campaigns still hold on to the previous best practices. Your email campaigns should be chock-full of interesting information that is important to your audience. But there is even more that goes into building a successful email marketing campaign. One of the most important parts of B2B email marketing is about creating segmented email lists. You can choose how to divide your email recipients. The goal is to create smaller target audiences that you can reach out to in different ways. In this way, you can create highly relevant email content that each segment audience will respond to. Monitoring your results is about collecting data from your previous B2B marketing campaigns. Every business is different, and unfortunately, there is no rubric for the perfect B2B marketing strategy. For this reason, it is important to track the success of each of your campaigns to find out which is the most successful for your business. Maybe email is less effective for you, and most of your potential clients are on social media platforms. Maybe online informative videos get your audience involved. Regardless, the only way for you to learn what works and what does not is to gather the metrics as you go. In this way, your past successes and failures will inform your company’s future plans and goals. Whenever you are beginning a new venture, it is most probable that you will make mistakes. However, you can avoid the most common ones in B2B marketing by anticipating these before you start. Not making a cohesive campaign strategy seems straightforward, but it is an important point: without outlined goals and parameters, your marketing campaign is going forward blindly. Before you start, set up your marketing goals and how you plan on achieving them. Choosing quantity over quality can be tricky when it comes to B2B marketing. Anyone who reads a B2B marketing manual will hear that they should be posting frequently to keep audiences engaged. However, mindless or irrelevant content is likely to drive them away. Keep your posts interesting and content-rich to facilitate conversation and build trust among your leads. On the other hand, forgetting to post regularly on your chosen platforms means becoming irrelevant to your clients. Forgetting your customers’ interests and needs means making your marketing content more about your brand and less about facilitating a conversation. Your goal is ultimately about building trust and customer relationships, not just pounding a product or service. The reason? It makes people stop listening. On the other hand, they are much more likely to listen when they trust your business as an authority in your industry. Not tracking your results to adjust your strategy leaves your business open to repeating the same mistakes. This means you will waste time, energy, and perhaps money in reaching out to the wrong leads or reaching out ineffectively. Look at your data and see what has worked for your business. Then you can adjust your next B2B marketing campaign strategy accordingly. Not creating targeted audience segments is another way to waste time and advertising potential. The point of content marketing is to market to the audience most likely to be interested in your products. This means cutting out the wasted time and effort of marketing to people who just are not interested. To optimize your B2B marketing campaigns, whatever platform they are on, create small, highly focused audience segments. In this way, you can be sure you are delivering relevant content to interested audiences — with returns for your business. When it comes to B2B marketing, there is a learning curve. Not every tenet will work for every business. 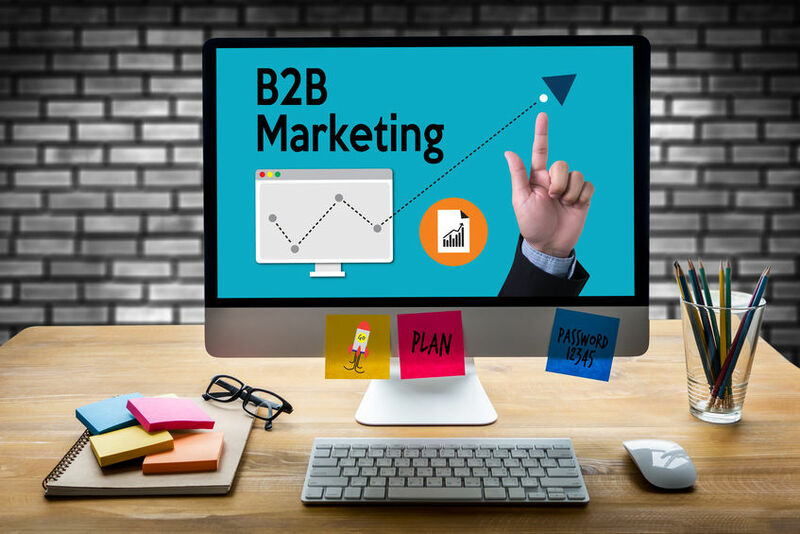 However, with these best practices in mind, you will be able to start creating a B2B marketing campaign that builds relationships and gives your business a reputation as an authority in your industry.